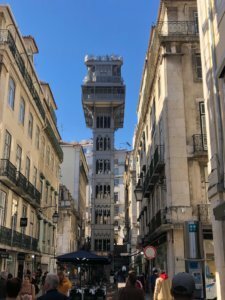 Lisbon - immerse and enjoy! 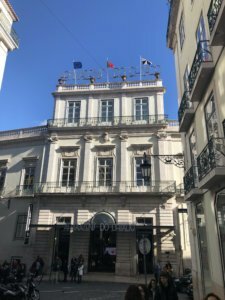 The capitol of Portugal is an inspiring city! Lisbon immediately inspired me, right from my first visit about 15 years ago. Since then I have been there four times. Each time, however, only to work as a moderator for various international companies. All the more I tried to use the breaks between my appearances efficiently. You can find out what I discovered here! 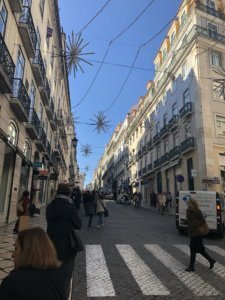 LISBON – BEAUTIFUL AT ANY TIME OF YEAR! Bright blue sky in January! The capital of Portugal is located directly at the Atlantic coast, so that one could assume that it is worth a visit especially in spring and summer. 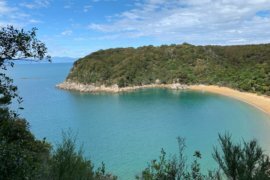 This time, however, I was there almost one month in winter and was pleasantly surprised. Because unlike in Berlin where I live or Germany own general, the weather here is wild but the sun prevails over and over again! Rain or even hailstorms are heavy, but short, and the average temperature is between 12 and 18 degrees. And that in January! In spring and summer I was already here and can say that the city is really beautiful in every season. 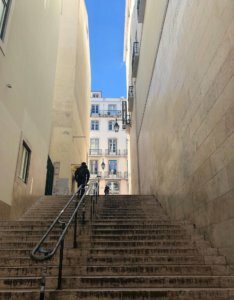 Like Rome, Lisbon is also built on seven hills, which I visibly felt during my walks through the city centre! The streets and alleys are partly really steep and beautiful to look at with their smooth cobblestones. 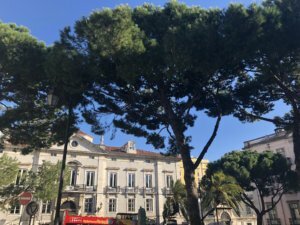 Discover Lisbon – this is how it works! Lisbon is a diverse city that is not easy to discover in a short time. 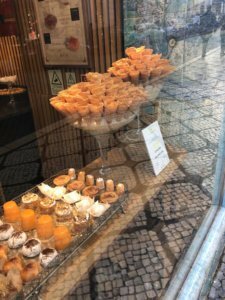 I love to be in the city centre and stroll around,try out Portugese specialties and to go shopping. The city centre in the historic district and business centre Bahia has been calmed for pedestrians and therefore it is really relaxed there. 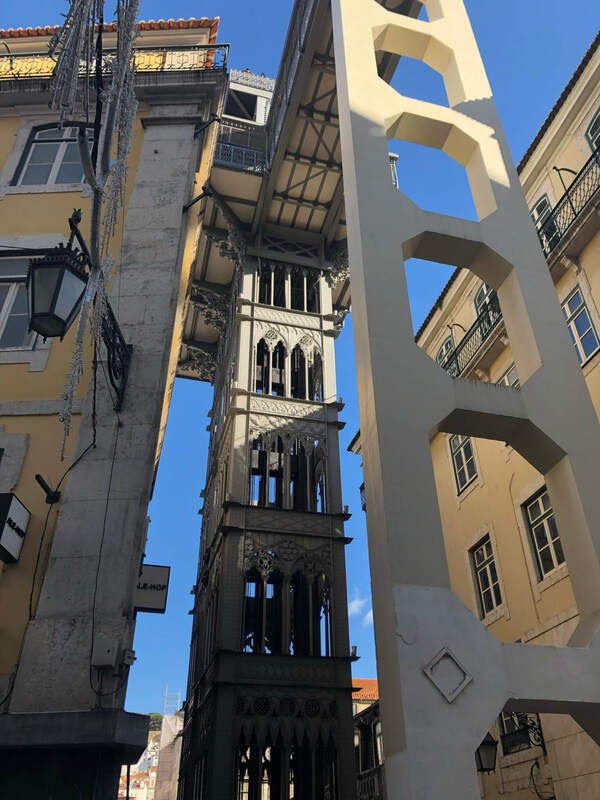 In order to get a view over the city, you can use the Elevador de Santa Justa, also called Elevador do Carlo to ride 45 meters up. This is a passenger elevator which connects Baxia with the higher situated part of town Chiado. Of course, you can also do that on foot, which I preferred to do. In fact, there are four such passenger elevators that are designed to make it easier for pedestrians to walk between the higher and lower parts of the city. But all the other three “elevators” are funiculars. In Baxia you will find all kinds of shops, but the city centre does not seem overloaded. It keeps its charm by the special construction and the Moorish impacts. Foothills of the Arabic and absolutely worth seeing district Alfama . Many of the houses, for example, are clad with pretty tiles from the outside. Everywhere there are places to linger and lanes to discover. Summarized you will find the most important places of interest here. I simply entered Zara – because the stores are in the middle of the pedestrian zone – and started from there. One of my goals was very clearly the Time Out food market. You’ll have to look at them with a lot of hunger! Only gastronomies selected by an independent committee are allowed to sell here. 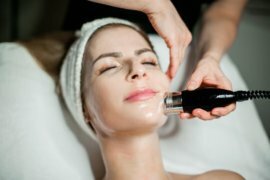 The quality of the suppliers is correspondingly high. The hall is huge, but if you go into one of the side streets, your supplier will find terraces in the sun! Find more insider tips for great restaurants and bars here. You can ride an electric tuk tuk with a good conscience! 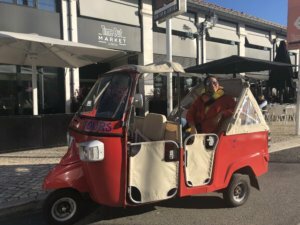 From the Time Out Hall I took a ricksha to drive me halfway through town to the Cortes Ingles – a shopping paradise. I was going to take a cab, but I couldn’t get one there. I had to do without the usual city tour due to lack of time, but I wasn’t that keen on it. So I just enjoyed a kind of cabriolet ride in the sun! These sightseeing rickshaws or tuk tuks are everywhere, and they come in different sizes. You can also book them in advance or take a bicycle taxi. In addition the good thing about it is that both are totally environmentally friendly, because the tuk tuks are electric. Read more here! 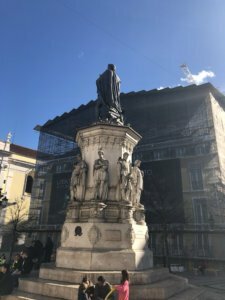 By the way, the city centre of Lisbon leads directly to the water and the Praca de Commercio one of the three most important squares in Lisbon. You have to walk over there! 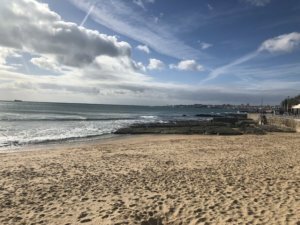 Along the water, there is a road that leads to the seaside resort in the west of Lisbon called Estoril, where the rich high society traditionally meets in summer. 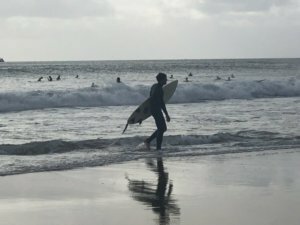 When I was there, the beaches were empty, but the Atlantic was full of surfers, despite the low water temperatures. 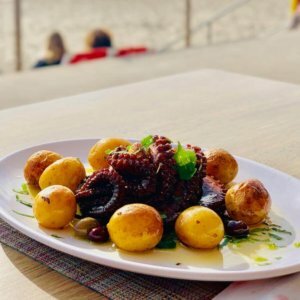 The atmosphere was peaceful and unagitated, and in the small restaurants on the beach I could relax and eat excellent Ostopus. The city centre is beautiful! The capital of Portugal definitely belongs to the cities that one should definitely have seen. But there is so much to discover that it is worth to think about it in advance. 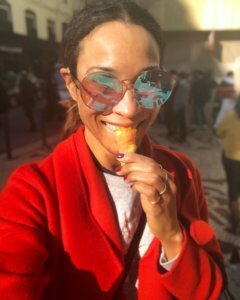 Even though I can’t give you too much to take with me personally, I will take my tips to heart and next time visit Lisbon privately to try it all out. I hope you’ve got the appetite for it too! You will find more travel tips on us here!